The Event Viewer allows for a visual display of the la st 4 Events that have occurred on the M60 Alarm Dialler. Events are either a dial-out due to an active alarm, or a call-back to cancel the M60 from continuing to dial-out. Each Event will use a single line on the display. A Dial-out Event will occur whenever the M60 has completed the dialling of a telephone number. The Dial-out Event will always show the time followed by the Date and Month and then the first two active alarms separated by a comma. The last character on the line informs the user if there were no other active alarms or there are more active alarms than displayed. A Call-back Event will occur whenever the M60 has been called back to cancel further calls being made. The event viewer will always show the last 4 events in sequence, running from oldest to newest. Upgrade options include holding a higher number of events and more detail. 4, 8, 16, 32 & 56 individual alarm inputs / channels. Individual Speech Messages for each input. Individual SMS Messages for each input. Internal Mains Failure Alarm Sensor. 24+ Hour Internal Battery Backup. Because the M60 is built by us in the UK if there are any special features you require for your project we can normally create them for you. 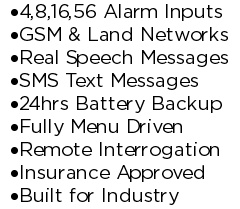 The above is only a small subset of the available features on the M60 Alarm Auto Dialer; for a complete list visit the Standard Features and Optional Features pages or contact us for a quote. 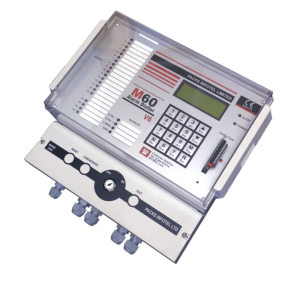 The M60 Cellular Auto Dialer is designed and built in the UK for use in a variety of industries including; Power Generation, Pharmaceutical, Manufacturing, Aviation, Oil & Gas, Livestock, Horticulture, Building Management,Fire & Security and Personal Protection. The M60 can connect directly to the Cellular/Mobile phone network system; this allows you to use it in environments where it is not possible or practical to fit a standard land line. The M60 can send custom user recordable voice and or SMS/Text alarm messages. Each input has its own dedicated message, so you are not stuck with a default “Channel 22 Alarm condition” but can setup a more useful “Mains Failure in building 5”. The M60 allows you to monitor multiple devices/outputs via its mutiple inputs this allows you to be able to easily distinguish between alarm triggers. The M60 comes in 4, 8,16,32 and 56 input versions. Each input can be set as either a Normally Open or Normally Closed circuit. There is also the option for analogue inputs. The above is only a small subset of the available features on the M60 Telephone Dialer; for a complete list visit the Standard Features and Optional Features pages or contact us for a quote. The M60 Alarm Telephone Auto Dialer is an advanced machine designed for use in a variety of applications including Security, Process Monitoring, Power Monitoring, Personnel Protection, Livestock Protection, Horticulture Protection and Building Management systems. The M60 has been purposely designed for use on commercial/industrial sites and includes an IP56 enclosure, integrated battery backup and protected inputs as standard. The M60 has many business features and software upgrades including Auto roster – so the outgoing numbers will change depending on who is on call. Channel to Roster – each input has its own dedicated list of contact numbers. 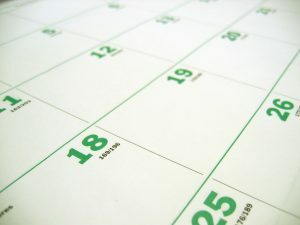 Event Logging – The M60 stores the last x number of events. Menu system – The M60 has an intergrated menu and keypad system to allow easy configuration. The M60 comes in 4,8,16 and 56 input versions; each input comes with its own user recordable voice message. The inputs can be defined as either Normally Closed or Normally Open. There is also the option of 4 * 4 to 20 ma, 0 to 10 ma or 0 to 20 ma Analogue inputs. There is now the option to send SMS and or Emails instead of or as well as a voice message. Each input can have its own individual SMS message. The M60 offers a phone line backup facility; The M60 will constantly monitor the connected land line. If the land line fails it will automatically switch to the Mobile/Cell phone network. The M60 GSM Alarm System is an advanced remote monitoring device, designed for the remote monitoring and protection of Equipment, Property, Processes, Products, Livestock and People. The M60 comes in 4,8,16 and 56 input versions, each input is individually identifiable and had its own linked alarm message. Speech, SMS,Email & Data Calls. The M60 gives you the option for a variety of message options, including real speech, SMS messages, Data and Pager messages. The GSM network can also be used as a backup option. If you have a PSTN line the M60 will connected and monitor that line, if the line fails it will automatically switch to the GSM network. The M60 now has an integrated Lone Worker monitoring facility. This works quite simply, once activated the Lone Worker has to press one of the “i’m ok buttons” located on your site. If the button has not been pressed for X seconds a warning siren will be activated, if the “i’m ok buttons” is still not pressed the M60 will start calling the on call personal to alert them there is an issue on site. The M60 is an advanced speech dialler alarm system that can connect to both the Mobile phone network and the land line phone network to send voice, sms and data alarm messages. It is primarily designed for use in commercial/industrial environments such as Fire Alarms, Security, Lone Worker Protection, Pharmaceutical / Industrial Process Monitoring, Horticulture, Livestock Protection and Power Generation etc but can also be used in domestic locations. As a commercial/industrial Speech Dialler is comes with all the features you would expect; multiple inputs (4,8,16,32 or 56), protected inputs, 24-48 hour battery backup, and a simple to use interface with a keypad and LCD display. Visit our Standard Features page for more information. The M60 is a full blown GSM Speech Dialler, allowing you to fit the M60 in locations where it is not possible to get a landline. Each input can have its own individual user recordable speech message meaning you are not stuck with a universal “channel 1 alarm” but could have more a more useful “Fire in Shed Gamma” message. The GSM Speech Dialler feature can also be used as a backup, if you connect a landline to the M60; it will then monitor the land line and if it fails automatically switch across to the GSM network. How does an Alarm Auto Dialler Work? When the M60 detects a new alarm condition, it will grab the alarm and make sure it is not an intermittent or false alarm. It will then dial the first number in your presetup alarm contact list. Depending on your setup it will then send a speech message, sms message, pager alert or data. The M60 will wait to see if you are going to acknowledge receipt of the alert, if not it will carry on through the dialout contact list. At the end of the contact list the M60 will wait an extended period, if no acknowledgement is received then it will go back to the start of the dial out list and start again. The M60 Alarm Auto dialler will carry going round and around untill the alarm is dealt with. The M60 can easily connect to your burglar security system. This can be done either via a dedicated output on the security panel or if your panel does not have one then you can slave an output from the siren contacts. If you use the M60 GSM backup option the M60 will monitor the connected landline and if the land line is cut the alarm message will still be sent via the GSM network instead. If your burglar security panel covers multiple zones with different responsibility’s you can connect in each zone separately and setup a dedicated list of alarm contacts for each zone. The M60 is a Wireless Alarm GSM Dialler that can also connect to the landline phone network for sending voice and SMS alarm messages. The M60 is a Commercial Dialler that is purpose built for use in industrial and harsh environments. It comes with 4,8,16,32 or 56 individual inputs, 24-48hr battery backup, protected inputs and is fully menu driven with an LCD display. Check out more features below or visit the Standard Features and Optional Features pages for more information. The M60 can connect to the GSM mobile/cell phone network to send Voice and or SMS messages. The GSM network can also be used as a backup. If you connect the M60 to a Landline and to the GSM network the M60 will use and monitor the landline. If the Landline fails it will automatically switch to the backup GSM network. The Speech messages are user recordable via the Menu and LCD system. To make things easier for the end user we setup all the outgoing SMS messages to the users specification, this saves the user from typing in hundreds of characters. If the user wants to change the SMS messages we just send out a replacement card that slots in the front. The M60 Alarm Phone Dialer is purposely designed for use in commercial and industrial situations such as Pharmaceutical / Industrial Processes Monitoring, Horticulture, Livestock Protection and Power Generation etc. As a commercial Alarm Phone Dialer, it comes with all the features required including, multiple inputs, surge protection, watchdog timers, Menu & LCD setup and 48 hour battery backup. The M60 Alarm Phone Dialer comes with 4,8,16 or 56 individual inputs; each input has its own user recordable voice message, or SMS message. The messages as fully customisable so you are not limited to a standard “Channel 1 Alarm” but can record a more useful “Power Failure in Gamma House” Message. Land line + GSM Voice Mobile/Cell phone connection. Land line + SMS Only. Land line + GSM Voice and SMS. The GSM/Cell phone network can also be used as a backup, the M60 constantly monitors the connected phone line and if it fails it will automatically switch to the Mobile/Cell phone network. The M60 can be remotely integrated either via phone or optionally via a PC to check the status at any time. The M60 GSM Dialler is purposly built to allow easy connection to Alarm Systems, Envionmental Systems & Emergency Generators etc. The M60 provides NO (Normally Open), NC (Normally Closed) and 4-50MA Analogue Inputs. It is designed for commerical and or harsh enviroments. It comes with features such as 4,8,16 or 56 inputs, 24-48 hour intergrated battery backup, input protection and a easy to use Menu system. The M60 can send both Voice messages and or SMS messages over the GSM mobile/cell phone network. Each input has its own user configurable message, meaning you are not stuck with a default “channel 1 alarm” message but can change it to a more useful “Alarm in house Five” message. The M60 can also be connected to a land line; this allows you to use the GSM phone network as a backup. The M60 constantly monitors the connected land line and if it fails it will automatically switches to the Mobile\Cell phone GSM network. The GSM Dialler is designed and build in the UK, and can be fully customised to meet your requirements. On a standard M30 the Key switch located on the front will simply turn the M30 ON or OFF, ideal if you are doing work on site, the site is temporary closed or maybe you simply just want it active when the office is closed. You cannot Cancel the M30 via callback only ‘0’ key, but you can still remotely interrogate it. For more information or the get the current pricing please contact us.